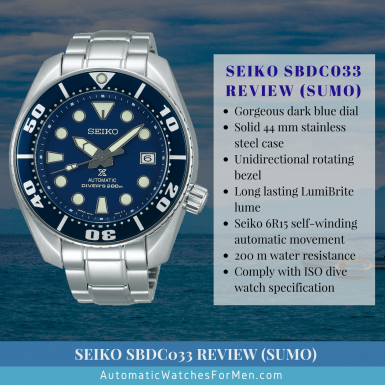 Today I’m going to write about Seiko Sumo SBDC033 review, or better known as the Blue Sumo (or “Blumo” lol!). This watch is part of Seiko’s Prospex line up. What makes this watch special is it’s one of my favorite watches that I’ve had for the past 3 years. I’ve been guilty of giving it lots of wrist time for the simple fact that it’s such a beautiful watch – even though it’s supposed to be a diver’s watch! I was just into swimming a few years ago. One of the things that I had problem with is how to keep track of how long I was in the pool. I had some watches in my collection at that point of time (some Seiko 5) but none was an actual dive watch. My Seiko 5 with a 100 m water resistance was my go-to watch to swim. But as it’s a more casual type of watch, it’s quite hard to look at while swimming (I wear glasses so when I swim I take it off). It was by chance I had been introduced to dive watches. Being an automatic fan, Seiko dive watches was the first ones that I encounter as it was wildly popular on the internet. 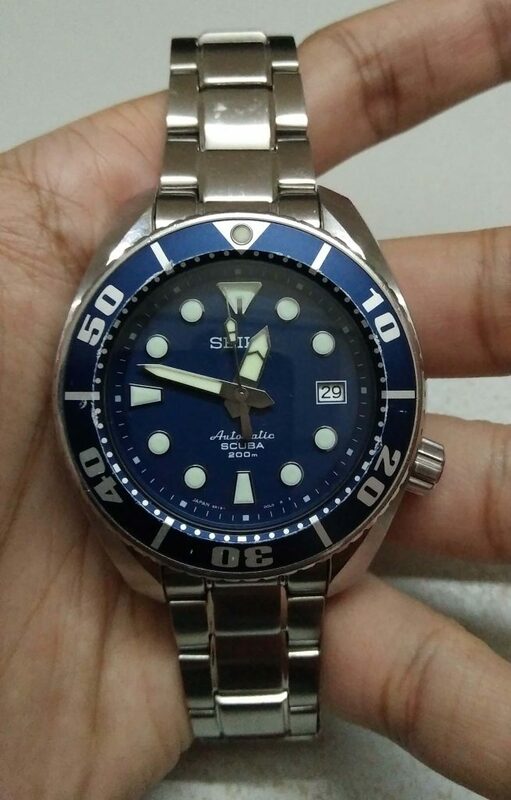 The Sumo was constantly on my face whenever I searched for “good dive watch” either on google, youtube or watch forums. I love the design. It looks masculine while at the same time very functional and lovely. The huge markers will make it very easy to tell time with. Not only that, it comply with ISO 6425 dive watch standard with a huge 200 m water resistance. Definitely a winner to me! A few days later after more research on it, I placed my order on the watch. I still remember how happy I was when I got the Sumo. It’s a heavy watch – and heft is a good indicator of quality for me. Everything is just like what a real dive watch is: solid high quality case feel with thick bracelet. I immediately know that this is a watch that I can use for my swimming. In addition, the Sumo has beautiful design, superb movement (more on that later) and astonishing LumiBrite for very bright lume. The dressy feel also makes it my favorite watch for casual and work. Truthfully, I can’t be happier with my purchase. It has been with me for 3 years (and counting). I’ve used it for lots of activities – activities that I won’t dare do with my other watches. That’s how reliable it is. If you’re looking for a middle range automatic dive watch (something prettier than the SKX watches for example), I can’t recommend the Sumo more! Perhaps some of you wonder why the Sumo nickname? It seems the nickname came from the appearance of the watch case which is designed to look wide and big, different than normal watches (it’s a 44 mm diameter watch) likening it to a sumo wrestler. But truthfully, I don’t think it’s that big. Thanks to the curved lug case design, the watch hugs our wrists making sure it’s still wearable even for those with smaller wrists. The one that I have is the SBDC003 which was discontinued and replaced with the SBDC033. So what is the difference between SBDC003 vs SBDC033? Well, in truth, not so much. The first Sumo is the SBDC003 (the one that I bought way back in 2014). 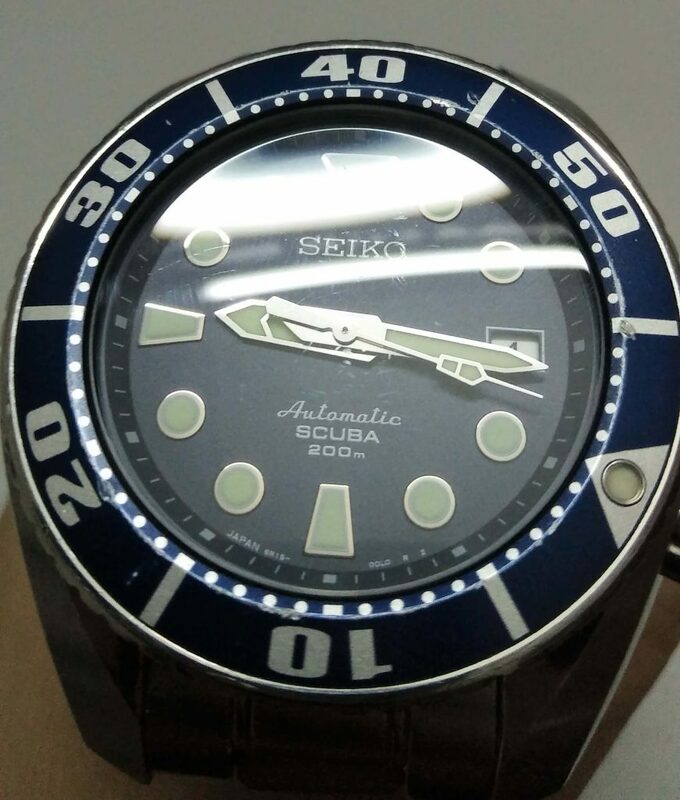 But sometime around 2015, Seiko wanted to promote their Prospex lines (Professional Specification, more on that later) and included this watch and many other automatic divers inside it. This called for a slight change to the dial to include the Prospex “X” logo on it, which is what the SBDC033 has currently. Apart from the minor dial change, the SBDC033 also purportedly has an updated LumiBrite which supposedly gives the watch a better lume. And that’s it. The other aspects: case, design, bracelet are the same. As for me, I like the older one (SBDC003) better as the dial is less busy as compared to the newer SBDC033. And what makes the watch more special is the fact that I personally own the previous version of this Blumo (the Seiko SBDC003) for 3 years now and I absolutely love it (an owner’s bias? lol!). 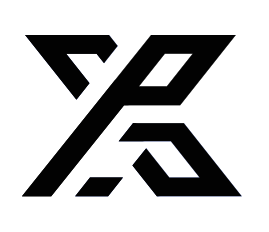 What is this Prospex line? It’s actually Seiko’s own “Professional Specification” watches designed for the most extreme conditions, be it sea, land or air. All the watches in the line up are designed with full functionality for the convenience of the user. Notwithstanding that, the watches are also beautiful to look and wear, such as the case with this Seiko SBDC033. 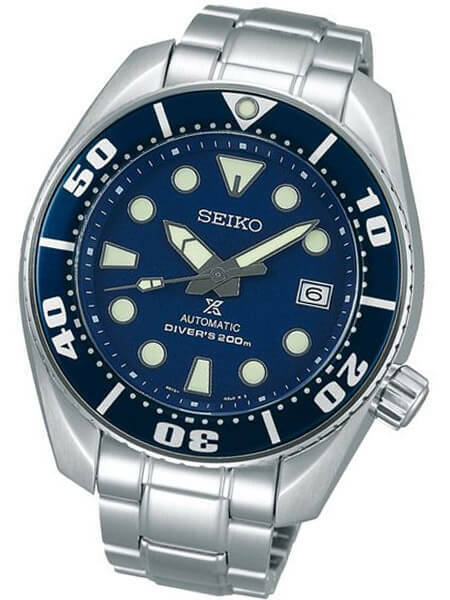 Just look at that deep blue dial on the Seiko SBDC033.. So simple yet gorgeous and beautiful! On top of the SBDC033 is a matte dark blue dial which is so enchanting to look at. As with any other diver’s watches, the dial is simple to help diver’s tell time underwater. The index markers are big circle with triangle marker at 12 o’clock. The use of big markers definitely help to make the watch legible. The sword hands are also big and bulky – for the exact same reason as the markers. All of these have surfaces fully applied with Seiko’s LumiBrite luminous material on top of them for bright glowing green lume. 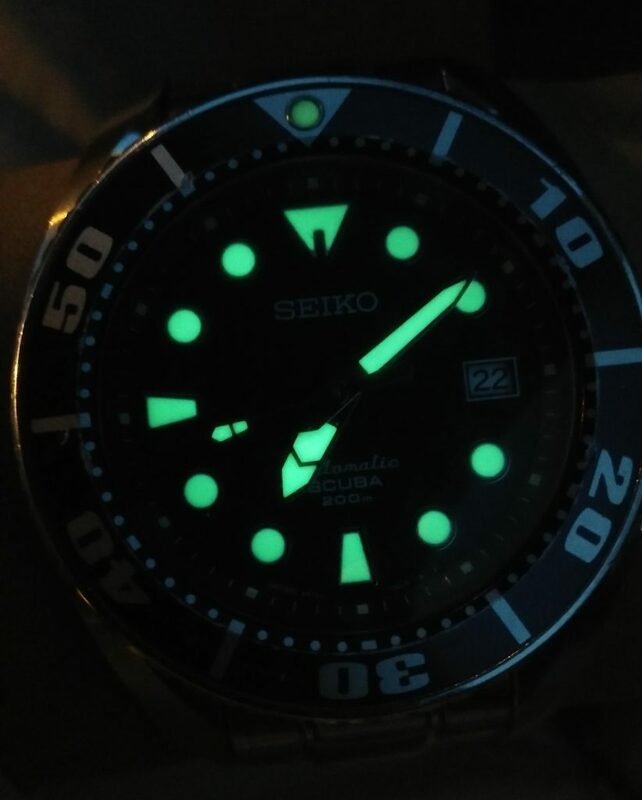 Seiko’s lume is very famous for its brightness and long lasting lume. In fact, I don’t have any problem to make it last for at least one movie screening – provided you give them sufficient time to absorb light beforehand. On the dial also is a date display window which is make it a very functional watch for work. I found the lack of day display sorely missing from the watch, but then not having the day display do make the watch more elegant. 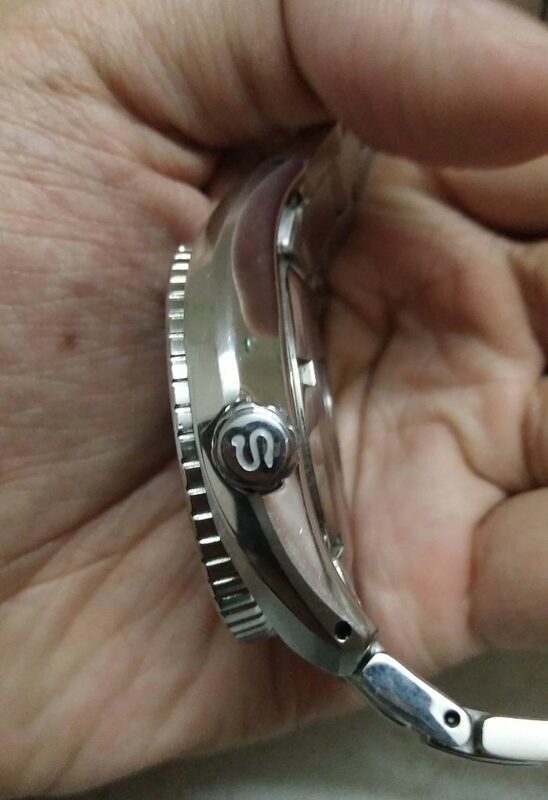 The signatures are not too obstructive, though the new version of sumo (this SBDC033) has the Seiko Prospex “X” logo on top which seems to make the watch busier. The Sumo also comes in black color (model No. SBDC031). In my opinion, while the black is very stylish, the blue dial is more unique and beautiful – which is also why I went with the blue sumo before. Check out both watches side by side below and let me know which one you prefer! Another characteristic of a diver’s watch is the unidirectional rotating bezel. What does the unidirectional bezel means? That means the bezel can rotate only one direction which is anti-clockwise. It’s originally designed as a way for divers to keep track of time underwater which is why the bezel has minute markings on it. Well, I’m not a diver but I’ve used the bezel for many other purposes – timing my workout and swimming time, waiting time for cook/baking, elapsed time in traffic congestion and many more! Truthfully, any watch with a rotating bezel can do the trick, but I just want to let you guys know there are lots of possibilities of usage with the bezel on this sumo. The Sumo with a matching blue rotating bezel that has many usages. In terms of construction, the bezel is designed with 120-clicks which gives a very satisfying bezel action. You can hear the clicking noise as you turn the bezel, and its very loud and crisp. One of the things that Seiko is very good at is in case design and construction. Like the SARB033, the SBDC033 also has the distinctive and gorgeous case design with contours and curves all around it. There are 5 surfaces on the lugs from top to bottom and each of them has very sharp transitions with impeccable layering of polished and brushed finishes – which is just surreal! Above: The Sumo also has a signed crown! The effort put down into machining the case is really shown here. Apart from the gorgeous dial, the case is one of the things that I always found myself to look at, for no apparent reason lol! 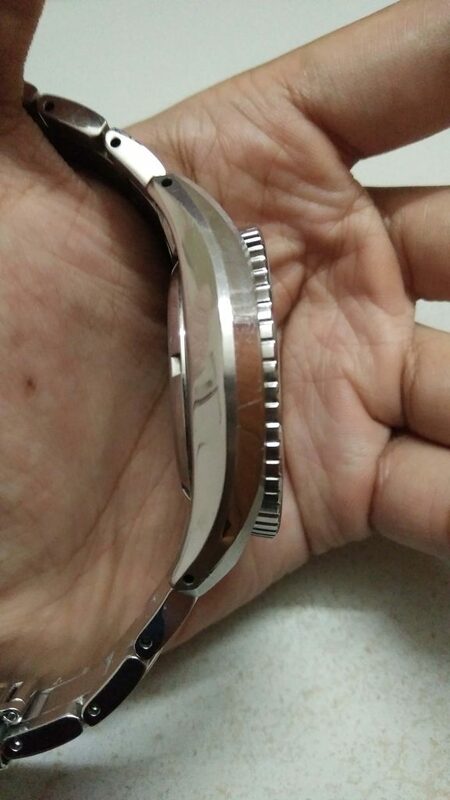 In terms of sizing, this Seiko SBDC033 is 44 mm in diameter, 13 mm thick and 53 mm lug to lug distance. Yup, it’s not a small watch for sure. You can see from the pictures that due to the elaborate lug design, the lug is quite long which contributes to the long lug to lug distance. But will it fit a small wrist? Unless your wrist is very very small, then my answer is yes. This is due to the lug which is curving down to hug the wrist. I also has a tiny wrist with a wrist diameter about 2 inch, which is just about the same width as the lug to lug distance. With any normal watch, it’s totally not possible for me to wear it but having the curved lug make the watch able to fit on my wrist easily. And it’s very comfortable too! As a traditional diver’s watch, the SBDC033 Sumo comes with an oyster bracelet. There is nothing fancy about the bracelet to be honest. It’s a normal bracelet with solid end links. A good thing about it I can feel the weight of the steel as it’s quite a thick bracelet. It’s definitely a great complement to the sturdy watch. 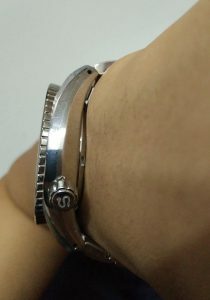 I used to wear my Sumo with a rubber strap but in recent times I’ve changed it back to the original bracelet. I think it depends on your mood and preference at that time. Being a diver’s watch, the bracelet comes with two extra things: double lock clasp and diver’s extension. 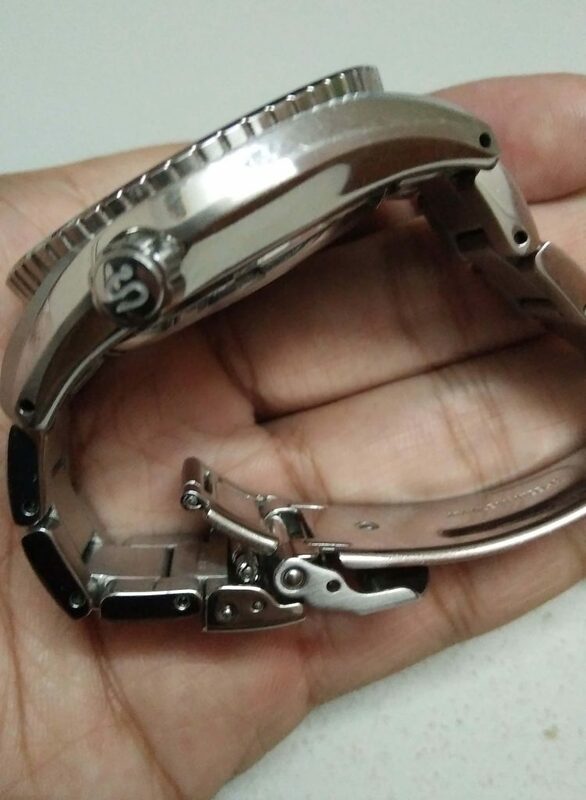 I really like the double lock clasp as it gives an extra protection to the watch from accidentally unlocking it. While I never use the extension before, I found it a cool feature to have lol! Inside the Seiko SBDC033 is the workhorse 6R15 automatic movement. It’s definitely the Japanese brand’s answer to ETA 2824-4 in terms of movement quality. The movement has 23 jewels, and 6 beats per second. The lower beat count as compared to Swiss ETA with a typical 8 beats per second, make the sweeping second hand less smooth. But on the other hand, the lower beat movement has the advantage of lower stress cycles in it and thus require longer maintenance interval (and life?). It’s a modern movement with the standard hacking and manual winding features. I can’t stress how convenient manual winding has been for me to keep my watch running even when I’m not using it. Accuracy wise, the movement has a published rate gain/lose of 25 seconds per day. 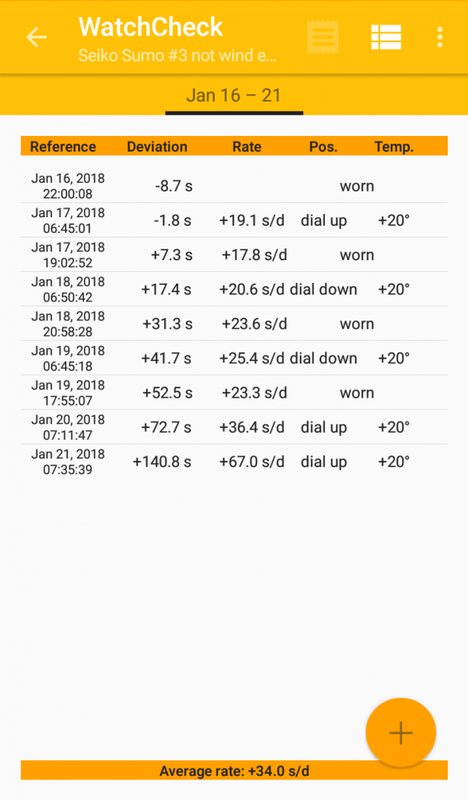 But throughout my use, I found the watch to have a higher degree of accuracy, sometimes up to +-4 seconds per day with the dial face up to be the most accurate position. So What Happens With My Old Sumo or SBDC003 After 3 Years? I’ve been very happy with my Sumo for the past 3 years. I’ve used it for everything: work, exercise, travel, parties and many more. The great thing about diver’s watches is how versatile it is. Not to mention I have no worries about using it for exercise since it’s already designed for excessive hand movements of divers while swimming. So an hour of workouts would not do it any harm. But, not everything is perfect. The Sumo is still a $500 watch (the price I paid 3 years ago) and it does come with its sets of flaws. 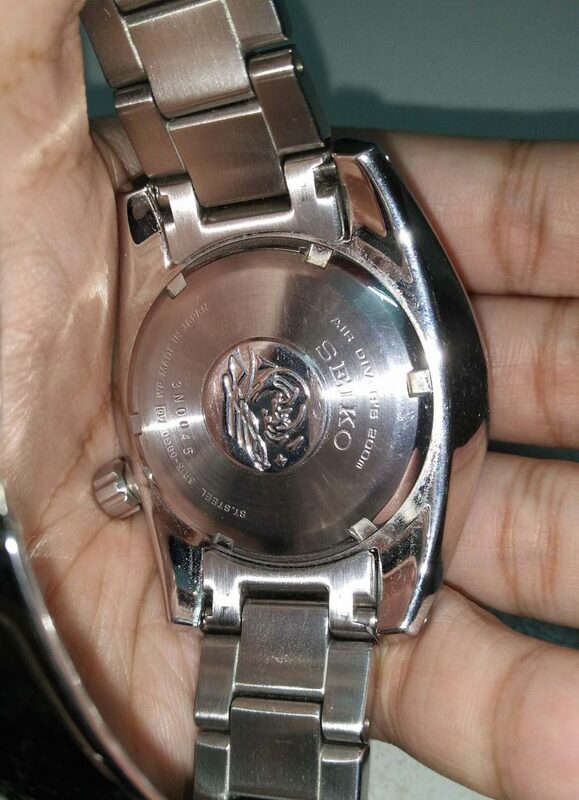 For instance, the watch crystal uses Seiko’s Hardlex crystal, which is an improved version of mineral crystal. It’s tough and resistant to impact, but I found it is not scratch resistant. Scratches, big and small are present on top of my crystal. I’m not sure if it’s because I’d bang them into concrete walls clumsily many times before, but for Seiko to not put a sapphire on a watch at this price is quite hard to understand. 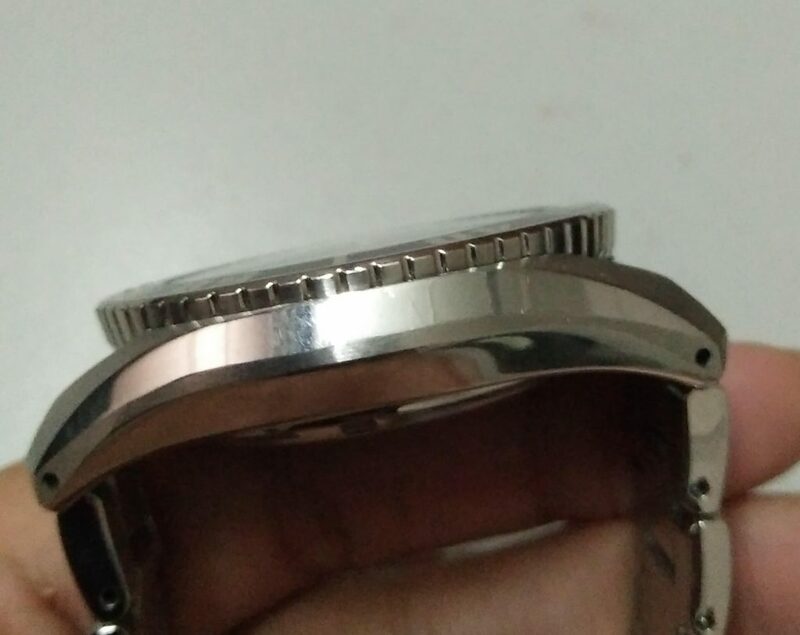 Next, I found the aluminum insert on the bezel is not durable as what I’d expect. The bezel insert is easily damaged if you hit it with a hard material. 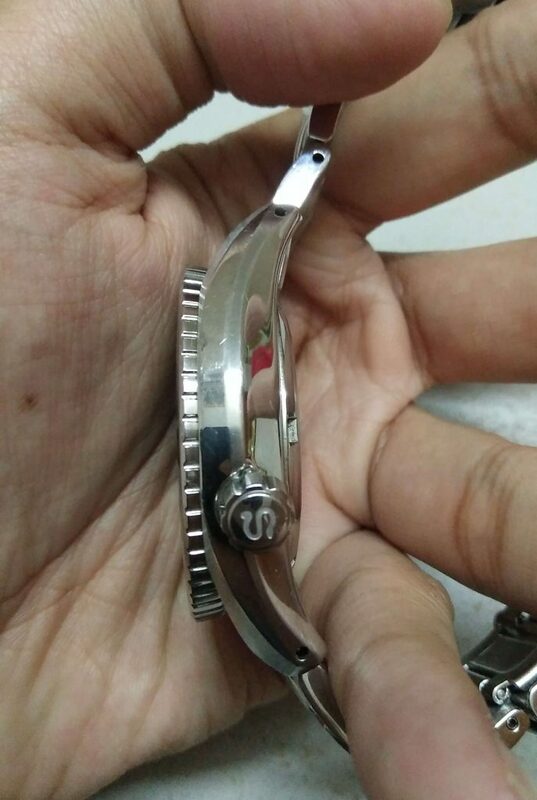 But to be fair to Seiko, this problem also affects other brands as well. Perhaps the latest ceramic bezel by Rolex is the best solution to this old-age problem. 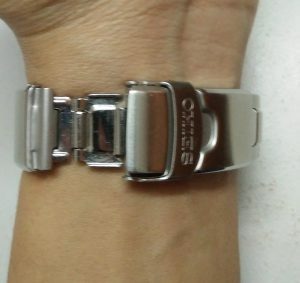 Lastly, the stainless steel case and bracelet are also not scratch resistant and would pick up grazes once in a while. 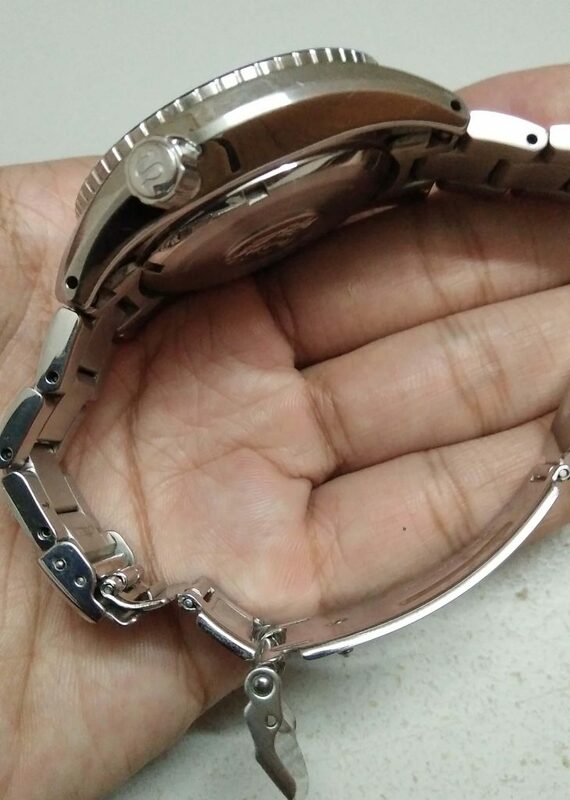 Again, it’s not Seiko’s fault as this is a universal problem with all stainless steel watches. The reason why I shared this flaws are to ensure that this review is authentic for my readers. I also want to make sure you guys are fully aware of the shortcomings that a watch will have so that you will know what’s in store with them. 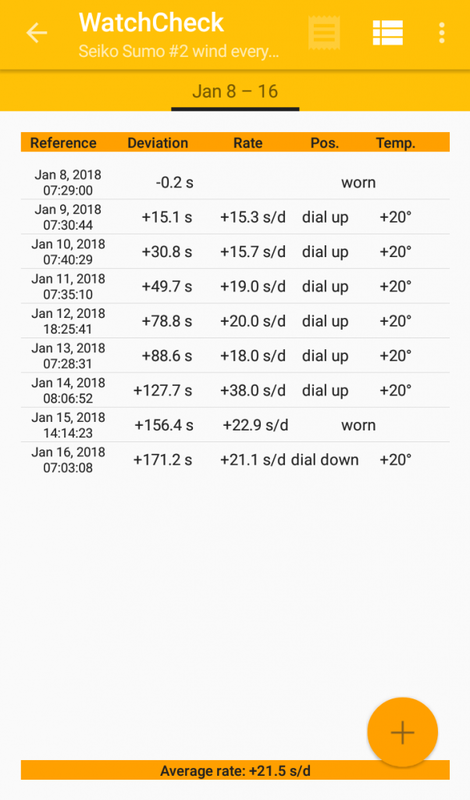 How About Seiko 6R15 Movement Accuracy After 3 Years? Moving on to the automatic movement inside my Sumo, the Caliber 6R15, especially on the question of accuracy. In terms of power reserve, the 6R15 got through 50 hours just fine, though this is not something that I ever measured. All I know is the watch is still ticking come Monday morning, just in time for me to go to work. But fast forward 3 years later, I found the accuracy had dropped off which can be attributed to various factors such as magnetized, adjustments etc. The first picture shows that the average rate of the Sumo/6R15 is +34 sec / day for the normal use case. On the other hand, the second picture for the daily winding case shows the average rate is +21.5 sec / day. The reason for this 2 cases is I want to show that manual winding really helped in terms of an automatic watch accuracy – which was right judging by the result. Obviously, I’m not quite happy with such accuracy results but it’s totally within my expectations. Nothing can last forever, and that’s really true for mechanical watches where its accuracy depends on it being in the perfect condition. Why would I not use a watch that costs hundreds of dollars? The joy of owning a watch is using it and these are the results of using the watch for its intended purposes. So what can I do with the Sumo? A visit to my watchmaker is in due course. Since it’s still less than 5 years old, I don’t think I need a full service to be done on it. I believe an adjustment would do just fine to restore the 6R15’s accuracy back to its former glory. Again, I need to emphasize that I’ve used this watch for many physical activities (swimming, jogging, gym sessions, etc.) which I believe contributed to its current state of accuracy. Bear in mind that out of the box, the Sumo’s accuracy is unbelievably good and I’ve been a very happy owner for years. What Is My Verdict Of The Sumo? Even though it does not have a sapphire crystal and it’s accuracy had worsen over the years, it’s definitely a very good value for money watch. It’s super sleek and gorgeous. Plus, the robustness of a Seiko diver’s watch make me feel comfortable using it for almost any activities. I’ve done exercises, went to gym, ran and of course, swam with it. I never had the opportunity of testing the 200 m water resistance (because the thought of diving scares the hell out of me LOL!) but suffice to say, the water resistance is good enough for normal people with some water activities here and there. 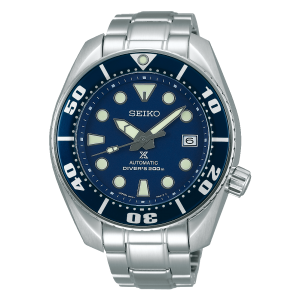 To me, the Seiko Sumo is a very dependable automatic watch for everyday use. My only regret is that I did not take better care of it. If only I’d be more careful while using it, I might be able to preserve its beauty and avoid those ugly scratches….. 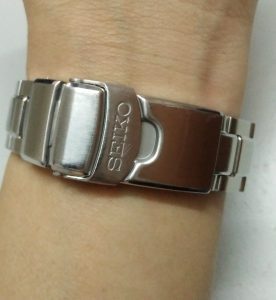 So who is this Seiko Sumo for? I believe divers would do well with this. 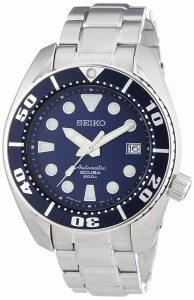 Just like other Seiko divers, the SBDC033 also is ISO 6425 diver’s watch compliant and will definitely be a great tool. 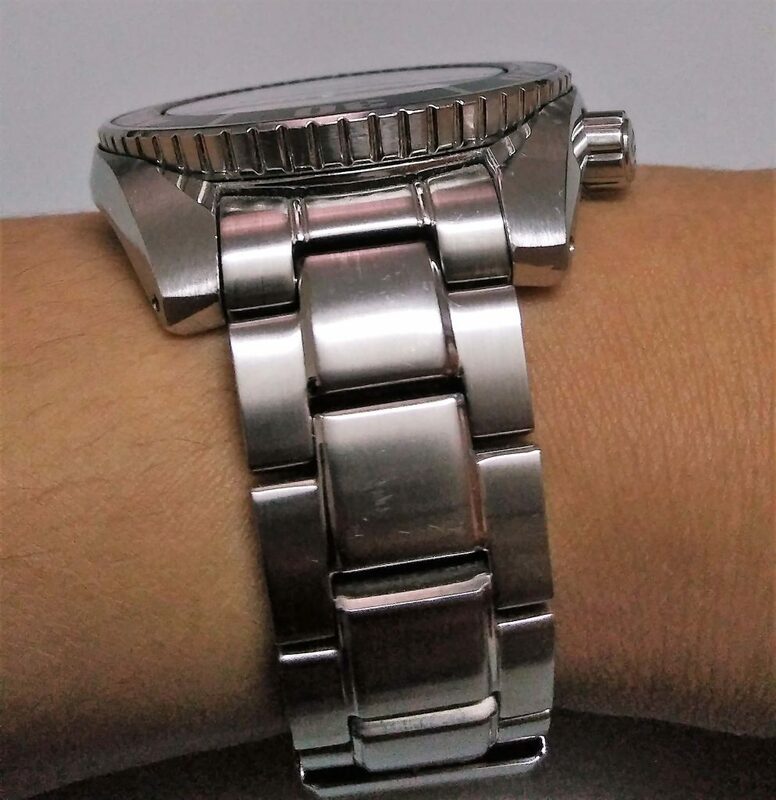 But if you are not a diver, then this watch is an excellent watch because of its versatility which enables you to wear it for any functions and events, except for black tie events of course. The Sumo is definitely a good value for money diver’s watch. And lastly, if you like blue color, you’ll definitely love this watch! While the Sumo’s MSRP is around $600, the watch can be had for lesser than that on Amazon (depending on shopping seasons and availability, of course). Check out Amazon on the current price of the Sumo (click the link below to know more). Those who want a true dress watch should not get the Sumo as it’s a bit sporty and won’t look as dressy. 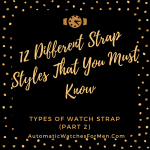 You might want to check out the other dress watches such as Tissot Visodate, Orient Star Retrograde or Seiko SARB033 and Seiko SARB065 Cocktail Time for more dressy watches. 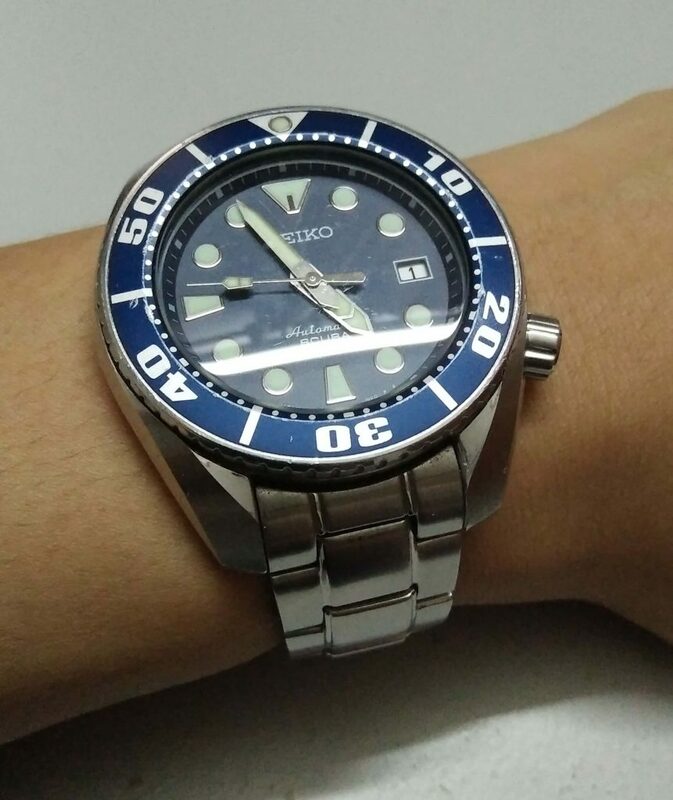 Seiko Sumo is a famous watch among Seiko fans due to its more traditional look, as compared to the other Seiko divers such as Seiko Monster and Turtle watches. 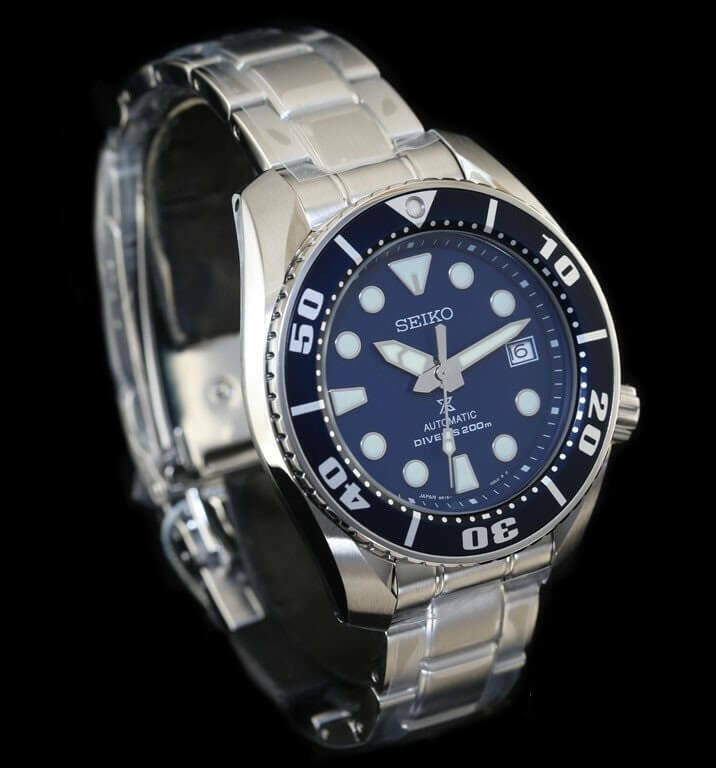 And even with a traditional style, Seiko managed to make it look gorgeous, and coupled with great craftsmanship plus affordable prices, they have a really good value for money automatic watch here. I’ve used the older version of this blue Sumo for 3 years and while I find the non-scratch resistant Hardlex crystal to be very annoying, I still love how beautiful the dial and case is. It’s definitely a watch I’m going to keep for a long time. 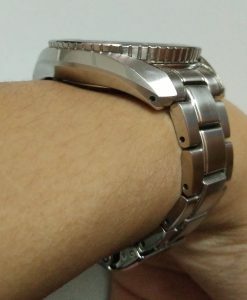 Hope you guys find this Seiko SBDC033 review to be helpful. Let me know if you have any other questions about this watch. Next Post: Slide Rule On Watch Bezel : For Watch Fans Who Love Their Maths! Great review. I really like the look of the sumo. 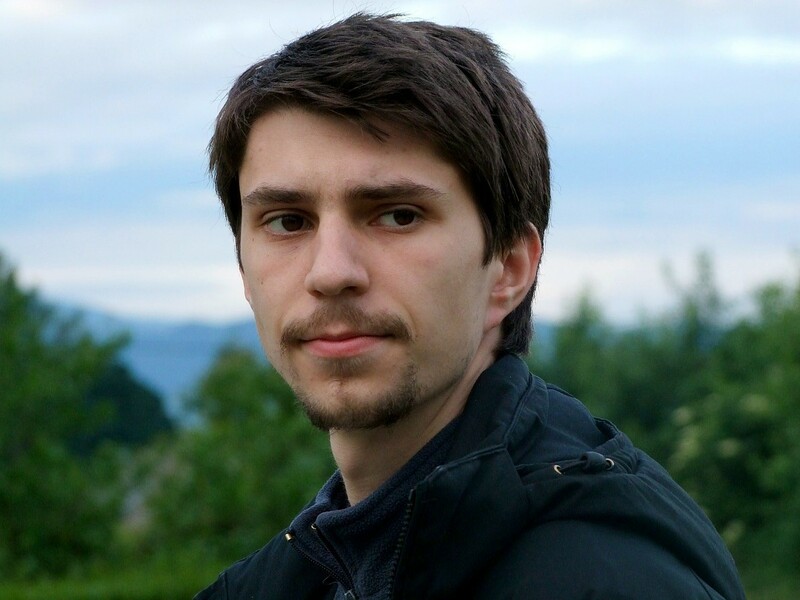 Many thanks for the various real life photos – it’s hundred times better than the stock photo on amazon or other sites! on these sites, the sumo looks weird and rounded but your pictures show it’s actually quite rugged and masculine. Thanks again! Hi Dess. It’s my pleasure to be able to help you with this review. I do think these online merchants should invest a bit more on product photography right? LOL! Thank you for the great review which i am sure took several hours to compose. I have other Seikos and unlike you i have been veey impressed with the scratch resistance of hardlex. Really impressive for me. I have a 5 year old Orange Monster and not a scratch on thr lens and i wear it a lot and bang it around too. Anyhow I just bought the Sumo. Can’t wait to get it! I’m sure the Sumo will treat you well buddy! And please don’t bang the Sumo around.. that will make fellow Sumo lovers like me very sad LOL! Although I may not be a huge watch fan, I do appreciate quality craftsmanship when it comes to watches. I currently own a Tag Heuer Carrrera 100 meter that seems to do the trick for me. I have heard it said that many many successful CEOs can be found wearing a Seiko watch and so I can appreciate such a timepiece. Your review obviously comes from a lot of experience in the watch business. The pitcher is very clear and detailed oriented. I am sure that the watch that you have featured here probably cost a lot less than the watch I currently own. Can you tell me the differences (other than the Swiss movement and Saphire crystal dial, etc.) that makes the watch that I own so much more expensive? Hi there. I think the main aspect of why Swiss/German/American (basically watches made from western countries) have the disadvantage of higher costs. 1- Higher manufacturing cost – labor, material, etc. I mean it’s far cheaper to make something in Asia right? 3- Retail cost – watch boutiques can cost a hefty sum to set up. This will add up to the margin of profit which increase the price of the watches. These 3 are the main reasons why Japanese watches (Seiko, Orient, Citizen) can produce cheaper watches than their western counterpart. Not to mention the watches on Amazon are taken directly from the dealers, so the retail cost is significantly cut which further reduce its price. Amazing and very well written review you have here. I enjoyed reading it and decided to make a buying decision all because it. I haven’t purchased anything through Amazon before. But now I will and see what the experience is like. Thank you for the information and I will share this article. These review is outstanding. I’m not very educated on the quality of watches, but I have definitely been looking into picking up a nice one. 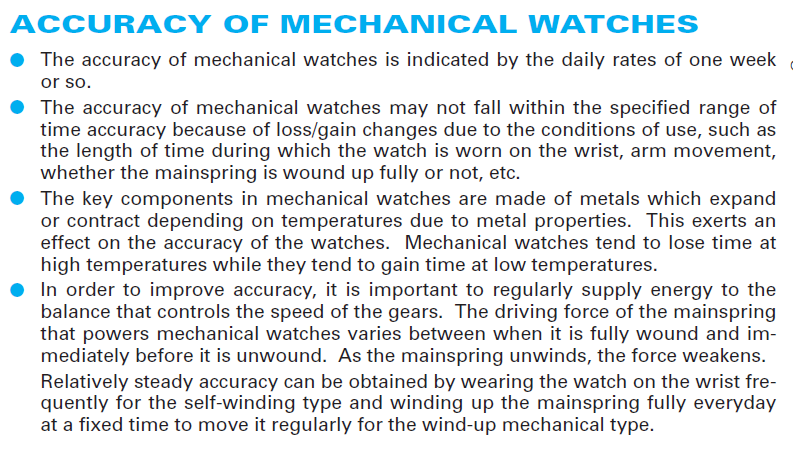 After reading this, there is A LOT more that goes into a nice watch than I thought. If possible, could you point me towards a “sports” watch that also tells the date and time? And perhaps one with more precise fitting… in the past I had one where one hole made the watch too loose and the other too tight. I generally like smaller, non bulky watches so that I can wear them in all conditions (I also always have the urge to know what time it is). Thank you and great review!!! Hi Jackson. If you want a sports watch with date and time, there are a few that I can recommend for you (you can read their reviews by clicking the links embedded on it). Let me know if you have any further questions buddy.